Kirloskar Brothers Limited (KBL), a leading global fluid management company today celebrated a historic decade of togetherness with SPP Pumps UK. It is exactly 10 years ago on November 7, 2003, that KBL acquired SPP Pumps. Prior to the acquisition, the two companies had traded for almost 4 decades. The celebration was attended by the entire staff of SPP Pumps and other stakeholders. Today SPP operates out of two sites in the UK, with an office based in the city of Reading and the manufacturing facility based in Coleford, Gloucestershire. There are also five smaller, regionally based service centres. In addition, there are overseas facilities in Dubai, France, South Africa, Singapore and the United States. 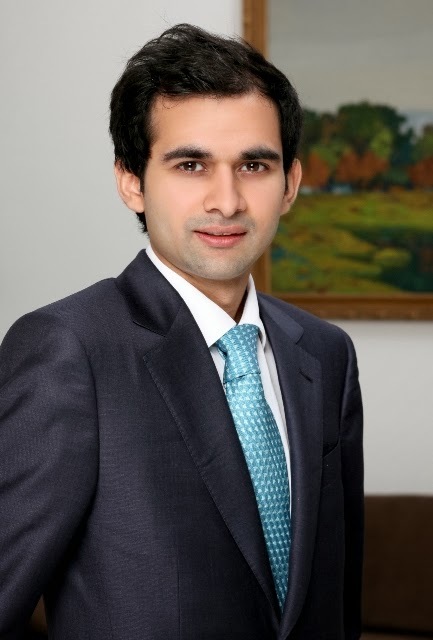 Mr. Alok Kirloskar is at the helm of affairs and oversees the affairs of this £ 68 million company. In the last ten years, KBL – SPP Pumps association has had its fair share of success. Sales in the UK have skyrocketed by 280% while sales in Oil and Gas fire-sets have risen by a staggering 560%. And more importantly, the company has contributed £ 1.5 million in income tax to the exchequer. SPP Pumps Ltd is a UK-based engineering and manufacturing company. This sector has undergone massive changes over the past three decades and these changes have been mirrored by the fortunes of SPP. Manufacturing in the UK contributes £160 billion to GDP but has been in decline for many years. It now only accounts for 10% of GDP but many service sector industries rely indirectly on the output. Manufacturing now accounts for only 10% of the total UK employment levels. The decline in UK manufacturing industry in the 1980’s had a profound effect on SPP. A company that had been based in Reading since 1901 and was one of the town’s main employers found itself in a position where it had to sell its factory and land for commercial development in order to raise capital to fund the expansion of a much smaller, but more modern factory in the Forest of Dean. A number of very austere years followed as the company underwent several changes in ownership, various restructures, downsizing - The Company was in a state of stagnation with morale and employee motivation at its lowest ebb. “The Kirloskar acquisition gave the financial security, support and aspiration to help rebuild SPP’s confidence and performance to where it is now; a company that ranks as one of the very best in its field. SPP has not only performed well financially but has also been recognised by its peers having won Manufacturer of the Year twice and many other awards. We have trained many apprentices, not moved any job outside of UK and doubled local employment from 175 to 350. Most importantly the SPP team now knows it can succeed and is in my opinion capable of moving on to even greater success. Everyone that made this possible should be very proud – I am,” says Graham Terry, SPP’s Director and General Manager of Europe. Between the two, SPP Pumps and KBL boast 138 years and 93 years of experience respectively, enabling both companies to consistently deliver engineering excellence and expert pumping solutions to its customers. SPP recently inaugurated its most advanced facility at Atlanta USA, the seventh manufacturing facility of Kirloskar Brothers worldwide. With the opening of the new facility SPP Pumps’ production capacity will increase by 30% and the turnover is expected to reach US$ 40 million in the next three years. SPP pumps and systems are installed across all continents providing valuable high integrity services for diverse industries such as oil and gas production, water and waste water treatment, power generation, construction, mines and for large industrial plants. All operations are ISO 9001 accredited, and SPP Pumps commits to the ISO 9001-2000 goals of continual improvement for customer satisfaction. More information about SPP Pumps can be found by visiting the company’s website at www.spppumps.com.